The American Academy of Pediatrics has issued new guidelines for vaccinating kids against the flu. Dr. Wendy Sue Swanson, a pediatrician and a spokesperson for the AAP, said the new guidelines are not that different from those of previous years. However, last flu season was a particularly tough one for children. "As of August of this year we lost 179 children to influenza, and 80 percent of those children who died last year were unvaccinated,” Swanson said. “We know that one of the best things you can do to reduce the likelihood of death — but also the likelihood of having an influenza infection — is, of course, get vaccinated." This year, the AAP is recommending every child over 6 months of age get the shot. 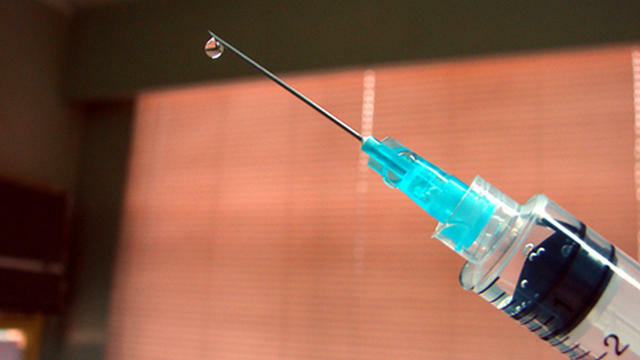 Swanson stressed the AAP recommends the shot over the nasal spray vaccine because there is evidence the spray is less effective against some strains of the flu. Swanson said sometimes parents come into her office wondering why they should get their children vaccinated against the flu. They think of it as a common childhood illness that is not usually life-threatening. Swanson said she tells them they are right, but it is impossible to know which children will become very sick. "(Influenza is) unpredictable. It can take a healthy child or a healthy adult and it can cause severe infections that spread throughout the body — and even around the brain — and can end life,” Swanson said. She added, “Because we can't point to a specific child in a room and say you'll be fine getting the flu, I can't even recommend that you abstain from the vaccine." Most vaccinated children will not get the flu, but if one does, Swanson says they usually don’t get as sick for as long. Pediatricians and health clinics will be stocking their offices with the flu vaccine this month, and Swanson says everyone should get it before the end of October.